You might remember that the Internet exploded right before Thanksgiving, thanks to Beyoncé's surprise-release of what is being widely lauded as her best music video ever. The clip for her new song "7/11" went viral in no time at all, and inspired women everywhere to clap-clap-clap-clap-clappy. In the video, Queen Bey wears nothing but loungewear, including a number of Beyoncé-branded sweaters, T-shirts, and sweatshirts that we've been lusting over since she debuted them. Where can I find that ugly Christmas sweater she's wearing?! has been a common query posed by ladies everywhere, and now, we've found the answer. 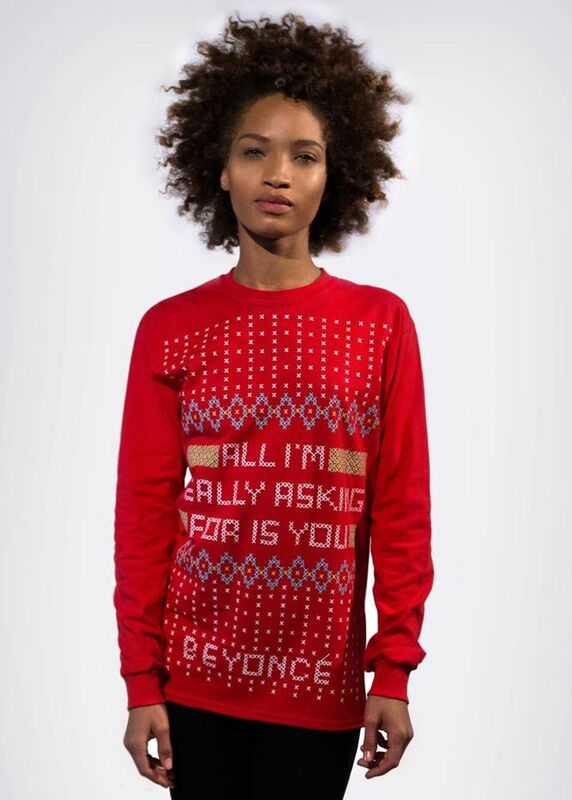 The ugly Christmas sweater belongs to a new line of apparel just added to Beyoncé's online shop. Alongside it are the "Cake by the Pound" sweatshirt, the "No Angel" t-shirt, and a bunch of other cute things. Keep scrolling to shop them now! Which of the tops from Beyoncé's 7/11 video is your favourite? Tell us in the comments below!